Judge’s Take: Over the years, the offense of drunk driving has grown in media coverage. A DUI is no longer a slap on the wrist crime, as judges are feeling pressure from the media, advocacy groups and other government entities to punish drunk drivers as a deterrent for future offenses. Some judges in Michigan have really taken this to heart, and send first offenders to jail on every single case no matter the circumstances. Fortunately for clients charged in Washtenaw County, there is no current judge who has a policy of sending first offenders to jail. There are judges who will send a first offender to jail if it is warranted, but it is not a regular practice. Just because someone doesn’t receive jail on a first, doesn’t mean that the judges aren’t taking major action in other ways. People charged with drunk driving in Washtenaw County receive two years of probation with daily alcohol testing, and a host of intensive treatment programs and weeks worth of community service. Driver’s licenses are lost and people lose jobs because of it . If someone is charged with a second offense DUI in Washtenaw County, the law states that the offender must go to jail for a minimum of 5 days with at least 48 hours served in a row. Judges in the County have different views on this wordage, and some follow it closer than others. Some judges in Washtenaw County send people to jail for longer periods of time, and some find ways around it. One alternative to jail in Washtenaw County for a DUI is sobriety court or the mental health court. The question of jail is only a small part of how a judge views a DUI case in Washtenaw County. Testing for alcohol during the case varies by judge and court house, and different probation departments treat testing in different ways. No judge in Washtenaw County wants someone drinking while on bond or probation, but each judge approaches this issue in a different manner. The judges in Washtenaw County are willing to give the client the benefit of the doubt with their case. I wouldn’t say the County as a whole is any tougher on DUI offenses than other counties in the area. If you go out to Oakland County and some areas of Wayne County, you’ll run into much more difficult judges. Judges in Washtenaw County want to send the right message about DUI cases, but also allow the client charged to learn from the incident, and make better choices going forward. Washtenaw County is the ideal landscape for a proactive program to have a major impact on the direction of my client’s case. Being proactive from day one can lead to reduction or dismissal of charges, avoiding jail, better bond conditions, saving a driver’s license, and a lighter overall sentence. Prosecutor’s Take: The prosecutors in Washtenaw County are pretty strict when it comes to drunk driving charges. They will offer reductions in cases when warranted, but will not reduce to anything below a drunk driving offense. Some prosecutors in the county will not reduce a case at all if there are certain facts or circumstances. Typically the Washtenaw County Prosecutor’s Office will listen to the reasons why a dismissal or reduction should be granted, but they are looking for a compelling reason, which most clients cannot provide without a proactive plan in place. If the circumstances are present to warrant such a result, the client must back it up with real actions outside the courtroom. It can be the difference between losing and keeping your driver’s license. In my experience, most of the city and township prosecutors in Washtenaw County are a bit more open to reductions and dismissals, but are also looking for a compelling reason to do so. The way a prosecutor views a drunk driving case is more perception based than any other misdemeanor offense; prosecutors handle DUI cases more seriously than most felonies. The last thing a prosecutor wants to happen is to cut a break with a client then have that client turn around and hurt or kill someone as a drunk driver in the future; the media and the community are going to look at that prosecutor as being at fault if the client got off lightly the first go around. If the client is charged with a second or third offense (felony), the Washtenaw County Prosecutor’s Office does not even consider a reduction in charges. And even if they did, it would not change the Secretary of State penalties of loss of license for a full calendar year. Prosecutors are looking for justification and a compelling set of reasons to do anything special on a case. They need something to rely on to show why they did what they did, which is why I target my proactive program directly as this mindset. Being Proactive: When I work with a client charged with drunk driving in Washtenaw County, we need to place a bookmark on the date of the incident and distinguish a clear before and after. Whatever has happened in the past was clearly not enough to avoid the decision my client made to get behind a wheel; the client may not be guilty at all, but an officer saw enough to submit the case to the prosecutor who agreed, and went ahead with charges. While we discuss what my client has accomplished in the past, it is better to focus on the present and the future. The 800 pound elephant in the room with a DUI case is a pattern of drunk driving being present. Most people charged with a DUI are not drunk driving for the first time; all prosecutors and judges assume this is only the first time they’ve been caught, and if the client is charged with a second of third offense, this strengthens that assumption tenfold. My client and I understand this perception, and plan for it with a number of proactive measures. I require all of my clients charged with a DUI offense in Washtenaw County to undergo a substance abuse screening and assessment before we even go to court. I am not an expert in this field, and neither is my client. Most people with alcohol issues don’t know it, or will not admit to it. My client cannot go in front of a judge, and I can’t speak on my client’s behalf and say my client doesn’t have an alcohol problem, because we have no idea if they do or not. Simply never having been charged with a DUI, does not mean the client does not have an alcohol problem. There are millions of problem drinkers in the world who have not been charged with a DUI. The best thing my client can do is be screened and assessed, and the results to be that they do not have an alcohol problem, which will go a long way in resolving their case in a favorable way. If the results come back that my client has a moderate or severe issue, we’ve now created a great opportunity to show the prosecutor and judge why this happened, and proactively address it before being ordered to do so. We turn a perceived negative into a positive just like we do with everything else. Along with screening and following all recommendations, my clients attend AA meetings in order to better understand their own case, and lingering issues. My client may not have an alcohol problem, but they can hear from others that might, and compare themselves. The most important part of going to AA is the impact experience. A client hearing the stories of other people who have lost jobs, family members, been divorced, became sick, and other negative results due to alcohol can really open up their eyes even further about the impact of alcohol. In my view it is not enough for a client to see their case in a vacuum, because, it’s likely that my client was not hurt, and nobody else was involved or injured. It’s likely my client will be able to keep his/her license, and move on from the case with little long-term impact. While that is our goal, and most of my clients follow that path, does it really address a long-term solution? I want my clients to experience the very worst of what their case could have been, because judges and prosecutors think that way. Just because you didn’t hurt or kill yourself, or another person, doesn’t mean your actions are any better than the person who is charged with a more serious crime. It really comes down to luck; it’s like playing Russian Roulette; when you drink and drive, you’re spinning the barrel when it comes to someone being injured or killed. In 2014, there were 71,378 injuries due to traffic incidents and 876 deaths; that’s a lot of people impacted by driver’s, now add alcohol, and things can get quite alarming. If my client feels the full impact of what could have happened, and we can demonstrate this to a judge and prosecutor, now only will we get a better result in court, but you’re never going to put yourself in this situation again, and you’re going to make sure other don’t as well. In the end, nobody likes drunk driving; even clients charged with a DUI are really ashamed of what happened, and want to make sure it doesn’t happen again. It is easy to say, but more difficult to accomplish. I only work with clients who are willing to work hard to make sure they have the tools in place to make better decisions going forward. There is no sure way to avoid a DUI from happening again, because it’s easy to drive a car, and it’s easy to drink alcohol; nobody plans to combine the two, but it happens nearly 40,000 times a year in Michigan, and that’s only a small fraction, because not everyone is caught. Along with the above measures, I have my clients take additional alcohol awareness classes, enter treatment and counseling, and test for alcohol and drugs. In Washtenaw County, some judges do not test for alcohol while on bond, and while that is generally viewed as a good thing, I would rather be able to confidently tell a judge my client has not had a drink since the incident, because we’ve been testing twice a day, and my client has not consumed illegal drugs, because I have a clean drug screen in court with me. If a client is not willing to make that commitment then I cannot represent them. If a client is truly serious about getting the best result inside and outside the courtroom, they will use the downtime during their case to show the prosecutor, judge, police, and the community how they reacted to being charged with a DUI. If you’re guilty, innocent or you can’t remember, you can greatly benefit from this opportunity in life. 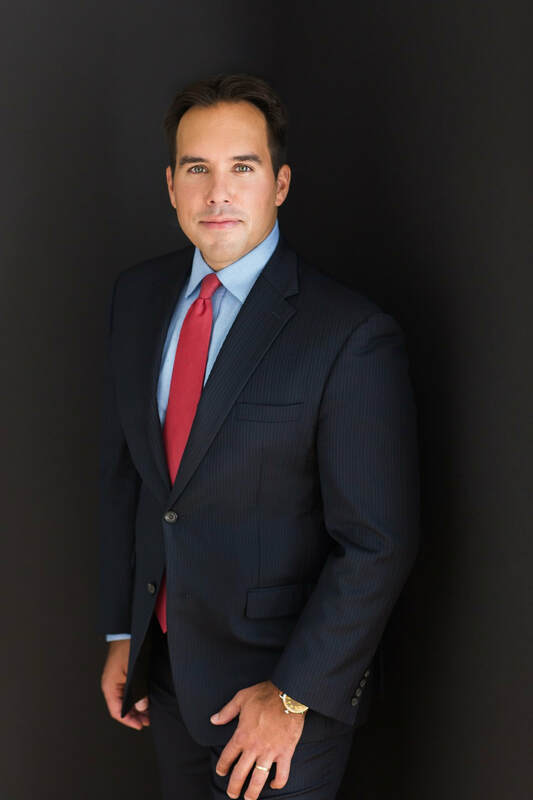 Hundreds of potential clients contact me each year with DUI charges, and I turn down a good number of cases because clients simply want their cases dropped or reduced. They are not interested in actually discussing how you get to that result, and they are not interested in making changes in their life; I can almost guarantee those clients will not be satisfied with the result they receive in court, and will not learn a thing from the case, and likely be the client who contacts me again in a year with a second DUI offense. 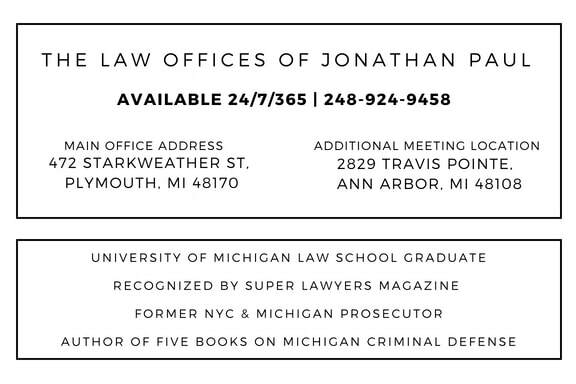 I am very confident that based on my experience as a prosecutor and as an attorney who practices daily in Washtenaw County, that if handled in a proactive manner from day one, a client can not only avoid jail, keep their license, and severely limit their sentence for their DUI charge, but also avoid future drunk driving arrests and charges.